Having reviewed Norrsköld twice before, I feel inclined to follow meticulously the subsequent releases in hopes of seeing a continuance of their commendable consistency. 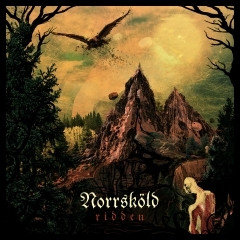 Largely an under-the-radar outfit anchored by mastermind Henrik Bodin, Norrsköld is a ‘blackened’ melodic death metal project highly inspired by the frosty cold of the north, added the charms of neo-classical guitar work; a tasty and varied take on the melodic death metal genre. Their previous release came in form of "Reflections of the Night Sky”, a debut album which was considered a complete record, featuring influences from both Children of Bodom and Stormlord in a ferocious 10-track introduction to the Gothenburg, Sweden-based band. This time around, Norrsköld have released a 4-track EP that continues in a similar vein as previously, but only provides a somewhat light lunch rather than a heavy feast. The 4 tracks last about 15 minutes, so admittedly, things moved a little too fast for my liking. That being said, Norrsköld have not lost any of their steam in this production: the blazing dual guitars are still as crisp and searing as ever, the double pedal remains rib-rattling, and the classical guitar interludes never fail to lead the listener into a dream world. The vocals have changed direction somewhat, in that they now prioritize a much deeper and more profound style rather than the raspy voices of their previous releases. Opening track "Ridden" is an adrenaline kick right from the get-go as the male choir vocals create an epic atmosphere. The tempo shifts are also worth noting as they straddle the borders of blast beat-induced black metal and the galloping rhythms of thrash metal. 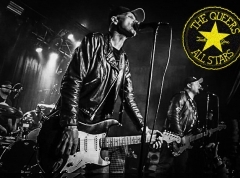 The song naturally ends in an acoustic interlude that leads into the second track "Aerial Fire", an instrumental piece which showcases the virtuosity of guitarist duo Henrik and Joakim. At first it seems a bit boring, but the last minute-or-so brings all elements to fruition. "Timeless Gardens" is an acoustic track which is reminiscent of some Mark Knopfler productions - a truly beautiful track with a simple but powerful melody. "Hårgalåten”, the last track of the EP, ends the record in a similar fashion as the first track began, the operatic male vocals returning to signal the denouement. The problem is that this release seems cut short, and therefore a tad annoying like the plug being pulled before a show is over. It is understandable that EPs are meant to showcase new material and directions, but truthfully, I would love to see a new record coming out soon instead of these EPs which, in this case, seem a bit stagnated. That being said, Norrsköld as a band is brilliant and these four songs are still well worth the listen.